Based on the specific requirements of various industries and the basic legal conditions, Minebea has developed intelligent solutions for all weighing applications, from incoming goods through to production on a large technical scale. Amber backlit LCD display, 0.8 in, 13 segment, External calibration routine, RS-232C, Numeric keypad (with two “IDs”) for entering identifier codes and preset tares, Info key for quick and easy display of tare input and ID codes, Date/time fully integrated, Three built-in LED checkweighing lights, Bar graph weighing range indicator, Optional barcode scanner for preset tare, reference weight and ID entry, Stored customer specific data records, and Two scale connections, analog or digital. 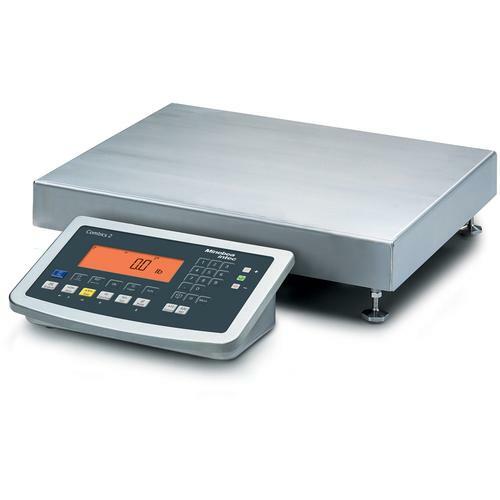 The basic weighing function is available at all times.